graphical format like pie charts, bar graphs and the output is mostly in ALV format. 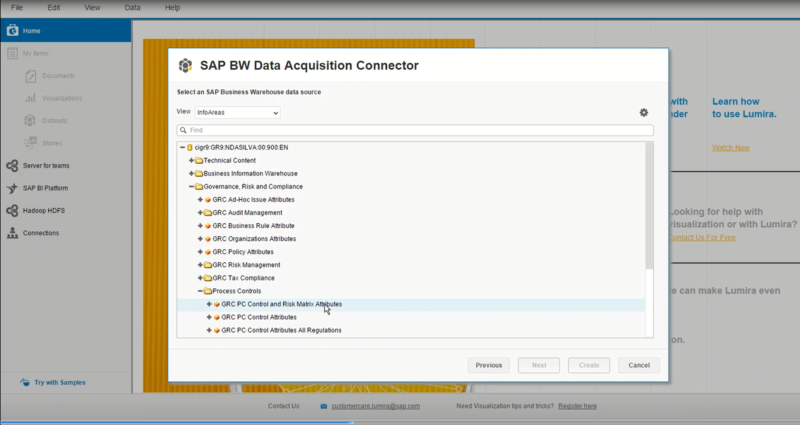 This blog demonstrates the enhanced GRC Reporting capabilities by leveraging SAP Lumira. SAP Lumira is a reporting tool which provides the ability to visualize data in a number of different ways. A business analyst with no real IT knowledge can create their own reporting models inside SAP Lumira and perhaps present the visualizations with management for further insights in the report. SAP GRC- Process Control 10.1 and Risk Management 10.1. predelivers the ODP. Before me move further in the blog, a quick description about the ODP content in GRC 10.1 version. 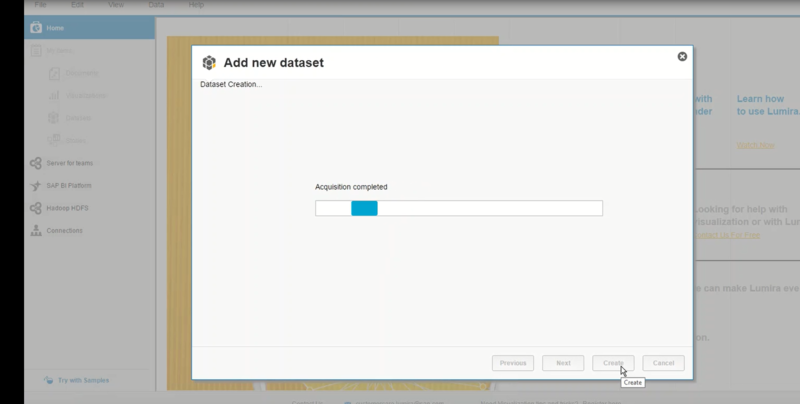 ODP Modeling is integrated in a joint development environment for data provisioning for analysis and create our own visualization in SAP lumira, which is illustrated below. I will excute a standard report ‘Risk and Control Matrix’ in GRC first and the report could be exported in ALV format. 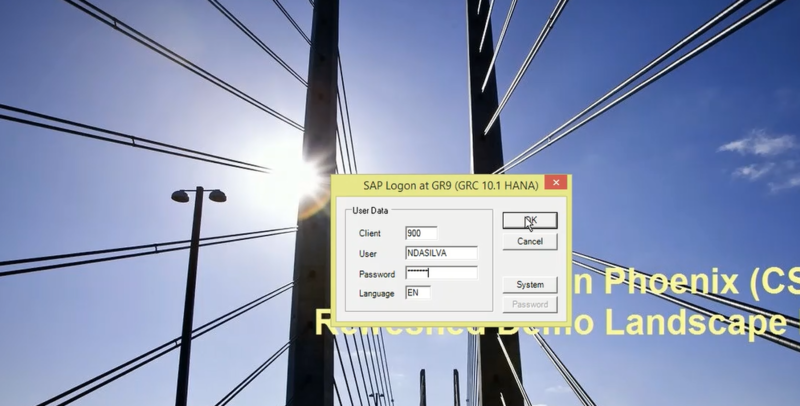 Once the standard ODP model delivered in GRC are configured and activated in the relevant SAP HANA or BWA for operational data provisioning, we are indeed able to connect SAP Lumira and SAP GRC 10.1- Process Control and Risk Management, by leveraging the Operational Data Providers (ODP) that are now standard delivered. The ODP models delivered in GRC 10.1 are bundle of selected fields related to an object, for example, Risk Analysis, Incident, Control etc. 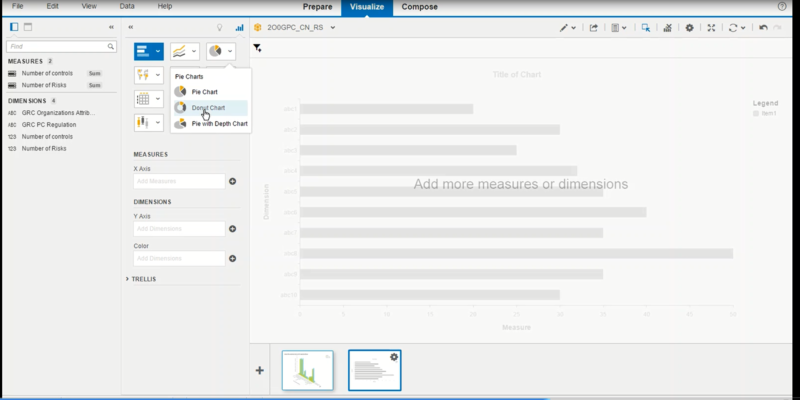 ODP are in essence reporting models that can be used for visualization in SAP Lumira. 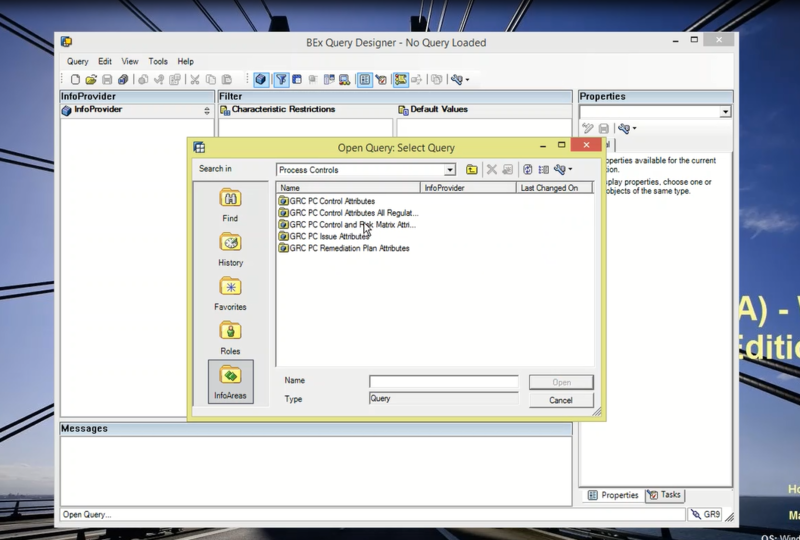 For better visualization using SAP Lumira, we need to build our reporting model using Query Designer first, that is installed together with SAP GUI. I will connect to the relevant BW system, where ODP models are activated. 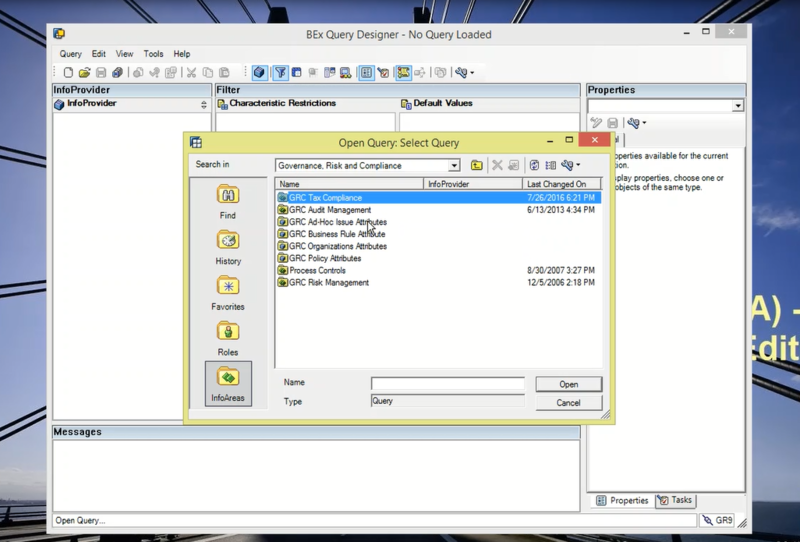 In order to create query inside Query Designer, I will select the ODP model from the relevant ‘InfoAreas’ inside GRC hierarchy : GRC-Process Controls. & for the demonstration, I will select ‘GRC PC Control and Risk Matrix Attributes’ model. This is our Query inside ‘Query Designer’. filters that we can chose from DATA fields inside my model. 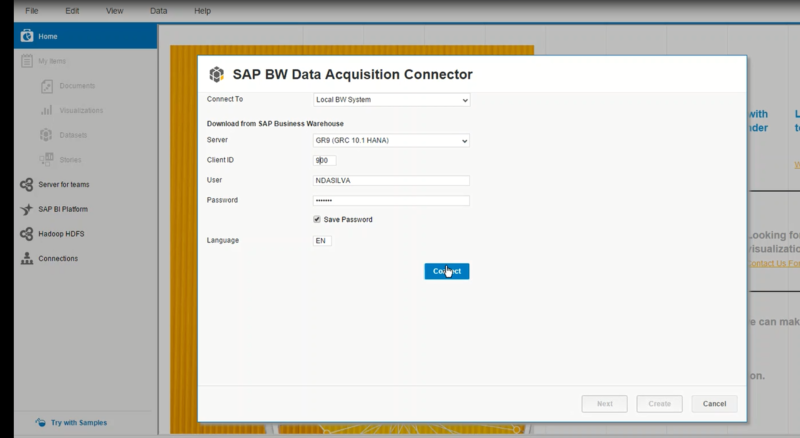 This Query is then consumed in SAP Lumira to visualize the DATA. In order to create a new visualization, I will browse File->New and connect to the relevant BI system. The relevant model from ‘InfoArea’ view is selected. & relevant ‘Rows’ and ‘Dimensions’ created in the Query Designer are selected. 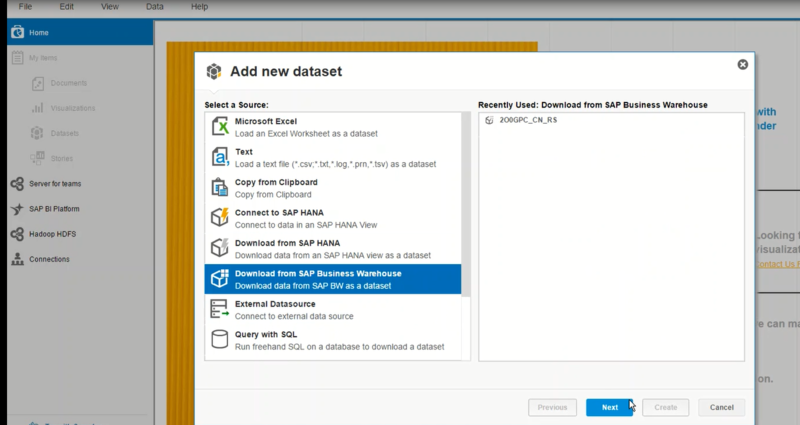 Once the relevant fields are selected, SAP lumira will automatically download the DATA. For our first visualization, I can use ‘3 D Column Chart’. & use ‘No. of Risks’ and “No. of Controls’ as Measures and ‘Organization Attribute’- Organzation Id’ as Dimensions, so that I can visualize the number of Risks and Controls associated with my Organization. For the demo, I will create further visualizations using ‘Donut Chart’ to visualize the ‘Number of Risks’ associated with Organization or ‘Number of Controls’ relevant to compliance. 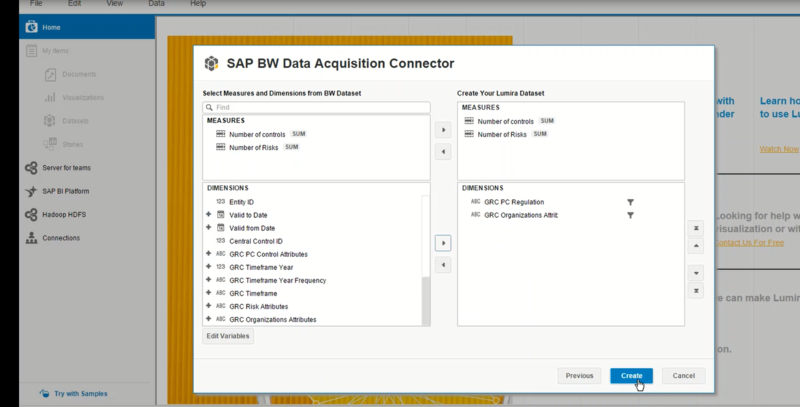 The visualization created inside SAP Lumira could be composed in a story and previewed and shared for further processing. Effectively,SAP Lumira enable building robust, visually enhanced customized dashboards for SAP GRC 10.1, enabling the end users to have a fully informed view of GRC DATA.